This blog post was authored by Peter Cooper, Senior Product Manager, Microsoft IoT. Back in April, we announced our intention to invest $5 billion in the Internet of Things (IoT) over the next five years. The importance of this commitment has become even clearer since, as technology has already evolved, customers have innovated, and possibilities have grown. As 2018 draws to a close, here’s a look back at the topics that drove the most interest and excitement here on our blog—and a window into what’s coming for this technology in the near future. The spaces around us are coming alive with the power of data. In our post, “Smart buildings, built on Azure IoT,” we talked about how IoT and AI are helping those who own, manage, and use buildings increase efficiency to reduce cost and improve productivity. 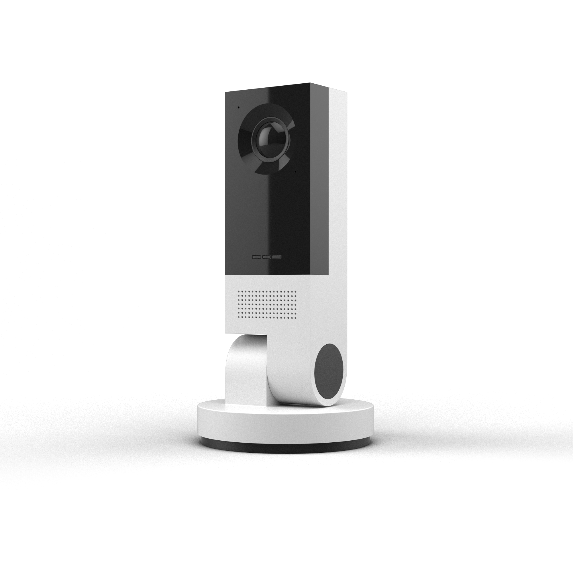 With announcements of products such as Azure Sphere and Azure Digital Twins, we empowered our partners and customers to explore new possibilities for managing and improving the built environment responsively, in real time. Over the past year, we’ve also seen customers expand their vision of what smart spaces can do. Traditionally, these projects were heavily focused on operational aspects of building management such as infrastructure maintenance, water, and power usage. This is still the foundational use case and justification for IoT-enabled buildings, but people are increasingly excited about the transformative capabilities of smart spaces. Customers are exploring how they can use analytics to understand and optimize how people use the spaces they inhabit. Furthermore, they’re designing smart building solutions with the potential to dramatically influence day-to-day productivity and increase positive interactions. For example, Steelcase showed how they’re creating smart and connected workplaces. As Scott Sadler, Steelcase Smart + Connected manager said, “By embedding technology into the work environment, we are enabling people to tell organizations what spaces are successful and why. We can measure and identify patterns in how and where people are working.” The ease of obtaining these insights will only increase in the coming year, and we’re thrilled to see where this field is headed. As smart space initiatives expand beyond the workplace to encompass stadiums, schools, hospitals, banks, and more—and as edge and cloud technologies connect them to the larger built environment—truly transformative possibilities are bound to emerge. As with smart buildings, we’ve been inspired by the visionary scope our partners and customers have for edge computing and look forward to big things in 2019. IT departments are using edge computing to solve infrastructure and security challenges to make IoT a reality. Hardware vendors are expanding the intelligence of their devices to take advantage of new functionalities. A diverse and vibrant ecosystem is arising that will push what’s possible at the edge. We highlighted five ways edge will transform business, including reduced IoT solution costs, improved security, lower latency, greater reliability, and interoperability with legacy devices. Enabling this goodness requires a strong technology foundation, which is why the Azure IoT Edge platform garnered so much attention from the industry. Since then, the solution has moved into general availability, enabling any business to deliver cloud intelligence locally on cross-platform IoT devices. Edge computing has depth, fueling growth in both infrastructure and IoT, which allows data processing, analytics, and advanced functionality on connected devices whether they’re connected to the cloud or not. These innovations are many and varied. With a consistent deployment model, companies can code and test edge capabilities on any platform and launch them seamlessly. For example, some are training data models using cloud-scale machine learning engines, and then deploying those models as-is to edge devices. Others are using edge as a way to aggregate and preprocess information so that only relevant data is delivered to the cloud. Edge computing also makes it possible to build IoT solutions that are offline for extended periods of time yet deliver powerful predictive capabilities based on local data. It all adds up to more efficient, effective use of data to improve everyday lives around the world. Interoperability is a hot topic, especially in the manufacturing space, where businesses are looking for simple, comprehensive solutions that allow them to enable the connected factory with a mix of IoT-ready and legacy equipment. Our April post on OPC Unified Architecture (OPC UA) highlighted how manufacturers are using the standard to enable openness and interoperability while maintaining high standards of security. In fact, this past year could be considered “the year of OPC UA,” with ABB, Rockwell, and Schneider Electric joining the OPC Foundation board members, alongside SIEMENS, SAP, Yokogava, Iconics, Ascolab, and, of course, Microsoft. National industry initiatives have also continued deepening their commitment to interoperability. Germany’s Industrie 4.0 has released new testbeds and specifications based on the standard, and the China 2025 initiative has made a similar all-in commitment to OPC UA. We’ve made our own contributions to the world of OPC UA with new and updated products. Discrete manufacturing is also getting in on the interoperability act, with the German machine tool association VDW announcing the open universal machine tool interface (umati) initiative, which incorporates OPC UA into its architecture. The big lesson from all this energetic activity? IoT is a catalyst for digital transformation across traditional boundaries. We’re seeing new ecosystems and solutions emerge that unify data and insights from multiple places to enable new possibilities. As smart cities, vehicles, buildings, spaces, energy, and more converge, the opportunities grow—and so do needs for end-to-end manageability and security. We are committed to solving these challenges with built-in connectivity, real-time performance, and security innovation at the intelligent edge. Learn more about how Microsoft is helping build the connected future. The Internet of Things (IoT) is reshaping every industry from manufacturing to medicine, and opportunities to transform business are nearly limitless. And while IoT is a complicated endeavor requiring multiple partners, skillsets, and technologies, new innovations are making projects easier to deploy, more secure, and more intelligent than ever. Below I’ve called out four innovations that are revolutionizing the IoT industry. To learn more about how to take advantage of these innovations, be sure to register for our upcoming IoT in Action Virtual Bootcamp. Cognitive services and AI used to come with a high price tag. But times have changed, and these capabilities are becoming increasingly accessible. IoT Hub and Cognitive Services enable you to tailor IoT solutions with advanced intelligence without a team of data scientists. Not only do AI and Cognitive Services make it easier to infuse IoT solutions with capabilities such as image recognition, speech analytics, and intelligent recommendations, but they also help companies act on the data being gathered and realize the true value of IoT. Scenarios are virtually limitless. Companies like UBER are using visual identity verification to increase platform security, and Spektacom is making cricket better with its AI-infused sticker for cricket bats that can deliver insights around batting style. You need data analytics to make your IoT solution complete, but all the data you need is not where you want it to be—it’s at the edge. One solution is to reproduce a cloud environment locally, but this can be costly and you may end up having to support two solutions, not one. Now you can extend cloud intelligence and analytics to the edge. Azure IoT Edge optimizes performance between the edge and cloud, reducing latency, so you get real-time data. This secure solution enables edge devices to operate reliably even when they have intermittent cloud connectivity, while also ensuring that only the data you need gets sent to the cloud. And by combining data from the cloud and data from the edge, you get the best of both worlds. IoT security continues to evolve. Which means it’s never been easier to lock down your IoT solutions. At Microsoft, we continue to build uncompromising security into every product we make. We recently released Azure Sphere, which is an end-to-end solution for creating highly-secure, connected devices using a new class of microcontrollers (MCUs). Azure Sphere powers edge devices, combining three key components including Azure Sphere certified MCUs, Azure Sphere OS, and the Azure Sphere Security Service. Provisioning IoT manually is time-intensive and can quickly become a showstopper, especially when you’ve got hundreds, thousands, or even millions of devices to configure. Even if manual provisioning is possible now, building in the capability to quickly and securely provision future devices is critical. Azure IoT Hub features a Device Provisioning Service (DPS) that enables remote provisioning without human intervention. Azure DPS provides the infrastructure needed to provision millions of devices in a secure and scalable way. DPS extends trust from the silicon to the cloud where it creates registries to enable managed identity services including location, mapping, aging, and retirement. It works in a variety of scenarios from automatic configuration based on solution-specific needs to load balancing across multiple hubs to connecting devices based on geo-location. 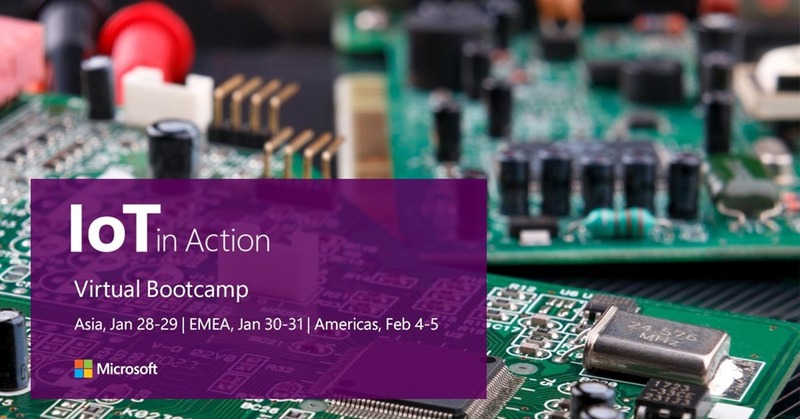 To learn more about how you can take advantage of these innovations, be sure to register for an IoT in Action Virtual Bootcamp. Whether you are an engineer, software architect, or practice owner, this virtual bootcamp will give you a clear understanding of IoT from device to cloud and accelerate the development of an IoT solution for your business. This event will help you get hands on with the latest in IoT devices and cloud services including secure MCUs, IoT OSes, and advanced application services. You will also receive trusted guidance and a singular ecosystem view, supporting you in the design of secure IoT solutions that add real-world business value and create exciting new customer experiences. Join us to establish a leadership position in the IoT ecosystem by creating new experiences and revenue streams while optimizing bottom-line performance. Interested in attending one of our in-person IoT in Action event? Register for a free event coming to a city near you. His situation was like many that John Schmidt, a corporate executive, had in mind when he and other founders – committed members of their community looking for solutions for people living in poverty – created Riverview Gardens. This unusual “no-fail” job training program in Appleton, Wisconsin, has helped more than 1,200 people, including Bennett, regain their footing and reclaim their lives. Schmidt, who has also served for years on the board of a local homeless shelter, knows any of us could face poverty, and even homelessness, because of bad luck and without a support system. John Schmidt, CEO of U.S. Venture, is among the founders of Riverview Gardens. Windows 10 IoT Core Services helps our partners monetize their solutions by creating a business model that provides ongoing long-term value. IoT devices are often in service for many years, so device support costs are important considerations that are either included in the initial purchase cost or often paid over time through a service contract. Windows 10 IoT Core Services provides our partners with the ability to distribute maintenance costs over the life of the device while also giving them tools to streamline and reduce maintenance overhead. This service can be purchased up front with a device or through a recurring subscription and provides 10 years of operating system support, including updates for security and reliability. Device Update Center is part of the Windows Hardware Device Center and is used to create, control, and distribute device updates for the OS, custom apps, drivers, and other files. The steps to register a new Windows 10 IoT Core device are described in the Device Update Center User Guide. Entries can be created in Device Update Center for each unique device model as shown below. OS updates and custom updates (apps, drivers and files) are delivered through the same content distribution network that is used daily by hundreds of millions of Windows users around the world. Updates can be flighted in three distinct rings – Preview (test devices), Early Adopter (self-host devices) and General Availability (production devices) to have a controlled roll-out process where new changes can be validated with smaller sets of devices before broader deployment. In addition to long-term support and device update control, Windows 10 IoT Core Services includes rights to commercialize with Device Health Attestation. This cloud-based service evaluates device health and can integrate with a device management system to improve the security of an IoT solution. These features give our partners the foundation to build sustainable business models based on Windows 10 IoT Core. The Windows 10 IoT Core operating system remains royalty-free. Windows 10 IoT Core Services is a paid offering that can easily be added depending on the scenario. Businesses and solution integrators can purchase IoT Core Services through an Azure subscription. The subscription price will be $0.30 per device per month when the product releases later this fall. During the preview period, the price is $0.15 per device per month. Partners enrolled in our Cloud Solution Provider (CSP) program will be able to resell the service and establish ongoing relationships with their customers. They can sell a flexible, pay-as-you-go subscription as needed to meet device requirements. This option will be available later in the year. OEMs can license the service with a device by pre-paying for the service. This option will be available later in the year. Microsoft is committed to offerings to help our partners provide compelling solutions and achieve their business goals. Along with our recently announced support for NXP silicon platforms, long-term support, and the Windows AI Platform, Windows 10 IoT Core Services is another step in meeting our partners’ needs. To learn more about developing with Windows 10 IoT, enroll in our Early Adopter Program at EEAPIOTPartner@microsoft.com and to learn more about Windows 10 IoT Services, see the technical details at the Windows IoT Core Dev Center.